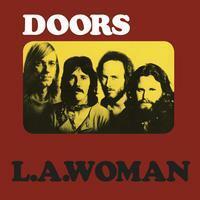 The title track from this, the last Doors album recorded with Jim Morrison, who died shortly after it was released, has, said one reviewer, “maybe the best Chuck Berry riffs since the Stones.” And that’s not even mentioning “Love Her Madly,” which became one of the highest charting hits for The Doors. “Love Her Madly,” was written by Doors guitarist Robbie Krieger, who is said to have penned the song about the numerous times his girlfriend threatened to leave him. The song peaked at No. 11 on the Billboard Hot 100 singles chart and reached No. 3 in Canada.